The core work of environmental ministry for Province IV is support education, organization, collaboration and promotion around the issues of eco-justice, eco-stewardship and eco-spirituality. The ministry contributes to this work in three key ways: 1) making connections between people, 2) enhancing communications and awareness of environmental ministry in the province, and 3) providing resources. This ministry is devoted to creating common resources and programming within the Province in partnership with the Center for Religion and the Environment at the University of the South and other partners such as The Center for Religion and the Environment at Sewanee and Green Faith. The Rev. 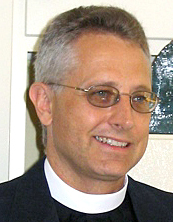 Jerry Cappel is the Associate Priest at St. James Episcopal Church in Pewee Valley, Kentucky. Jerry’s professional interests are in adult education ecology and faith. Jerry serves as a Fellow for the Center for Religion and the Environment at Sewanee, as a GreenFaith Fellow and as President of Kentucky Interfaith Power and Light. Jerry has been the Environmental Coordinator for Province IV since July, 2009. For questions, ideas and connections, please email Jerry at jjcappel@hotmail.com.